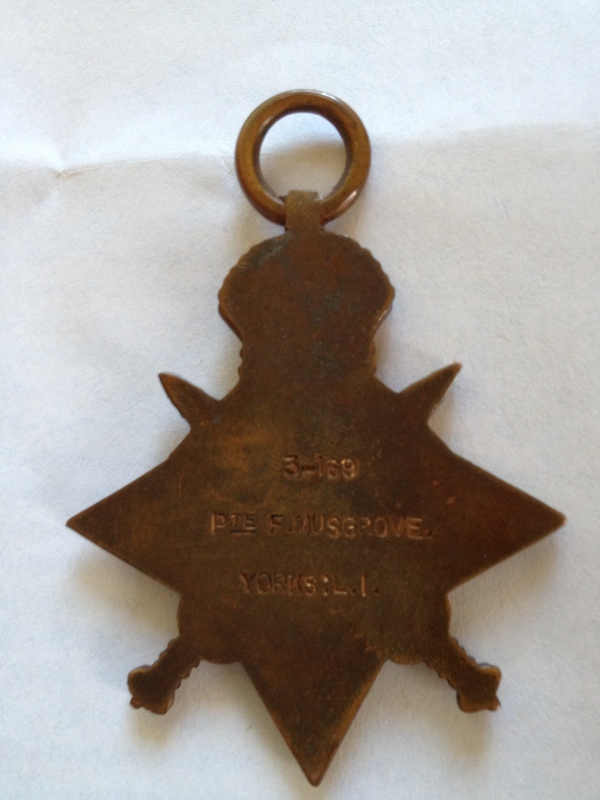 2nd Bn., King’s Own Yorkshire Light Infantry who died 100 years ago today on 31 October 1914. He is remembered on the Le Touret Memorial. 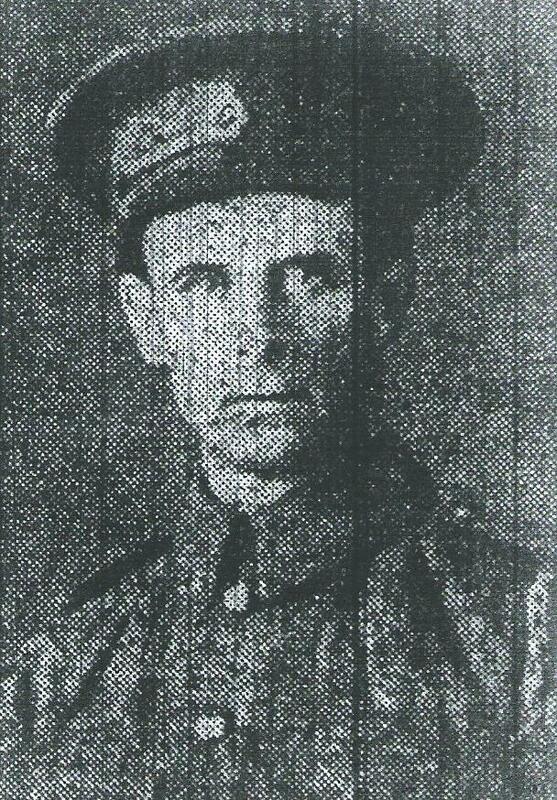 Fred’s name is also inscribed on the memorial at St Barnabas Church, New Whittington. Remembering Private Lawrence Albert Wright , 10th (Prince of Wales’s Own Royal) Hussars who died 100 years ago today on 26 October 1914. He is buried in the Ypres Town Cemetery. 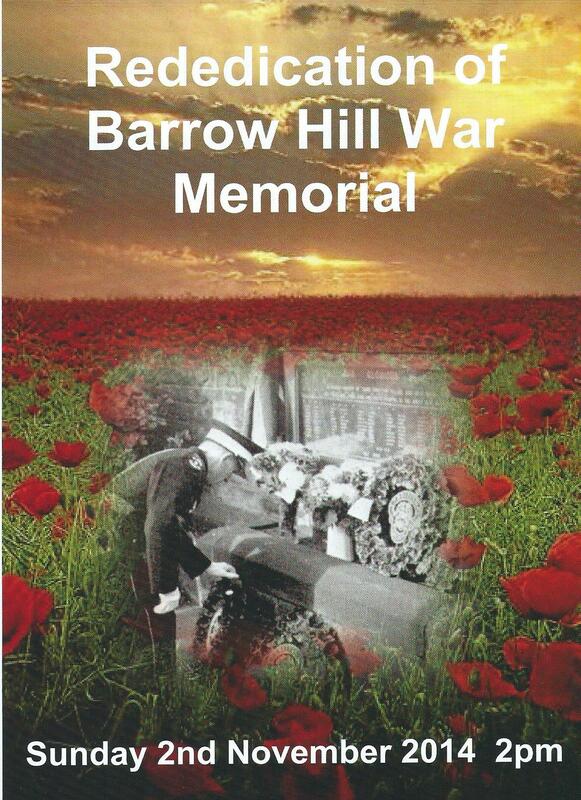 Local man, Steven Hall, has completed a 60 mile walk over the Somme to raise funds for ABF, the soldiers charity. 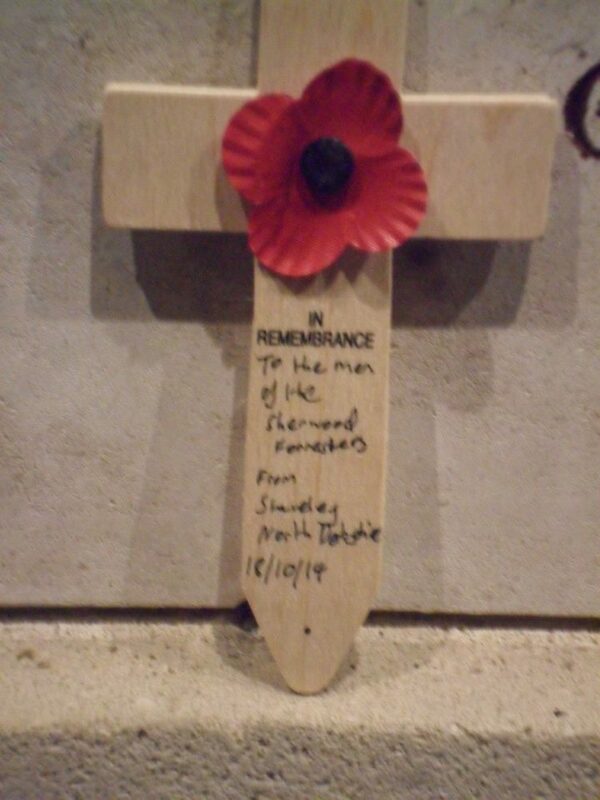 Pictured is the wooden cross he placed by the Sherwood Foresters panel on the Ypres Menin Gate Memorial on which the names of 12 Staveley men are inscribed. 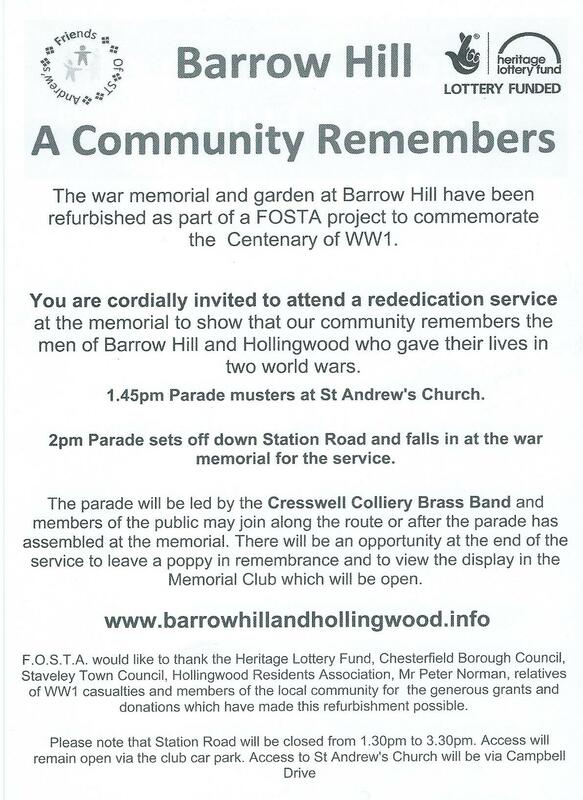 The Friends of St Andrew’s community group at Barrow Hill have replaced the old, worn frame around the memorial plaque with a new oak surround – thanks to donations from the Heritage Lottery Fund, local councils, residents and the generosity of relatives of the casualties. 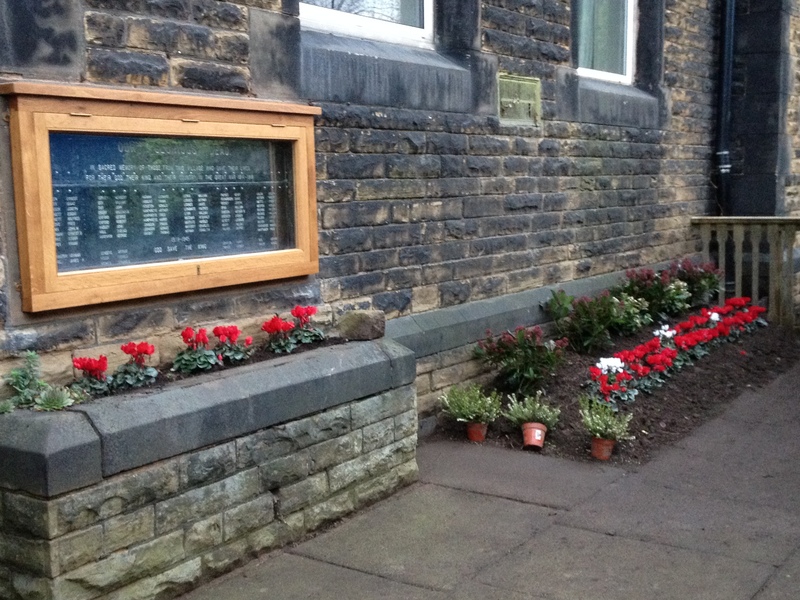 The frame has been made and installed by local craftsman, Terry Mills. 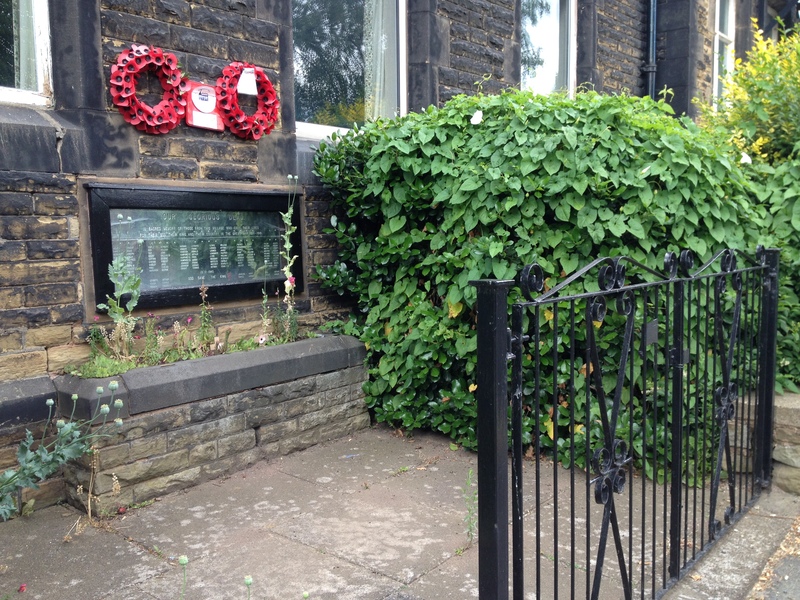 Posted in Remembering	| Tagged Barrow Hill Memorial Club, F.O.S.T.A. 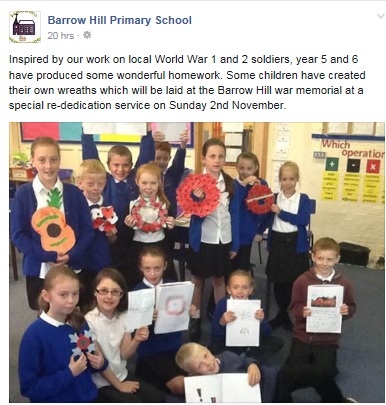 Pupils at Barrow Hill Primary School will remember local casualties and lay their own wreaths during a rededication service on Sunday 2nd November. 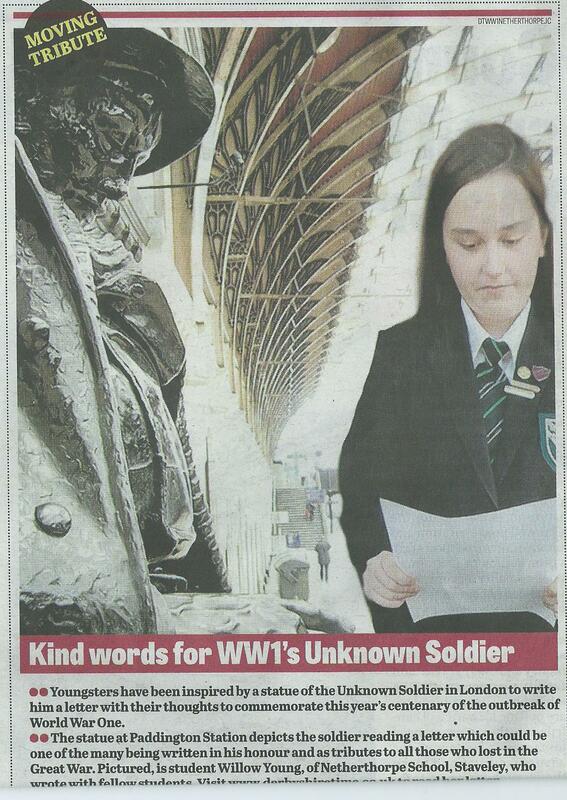 A statue at London’s Paddington Station depicts a WW1 soldier reading a letter. 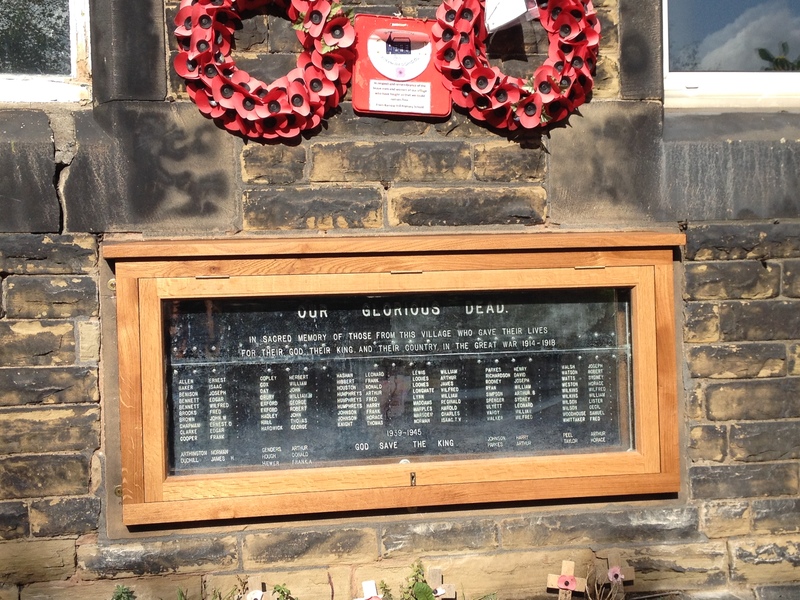 Inspired by the statue, Netherthorpe pupils have written letters in his honour and as tributes to all those who lost their lives in the Great War. 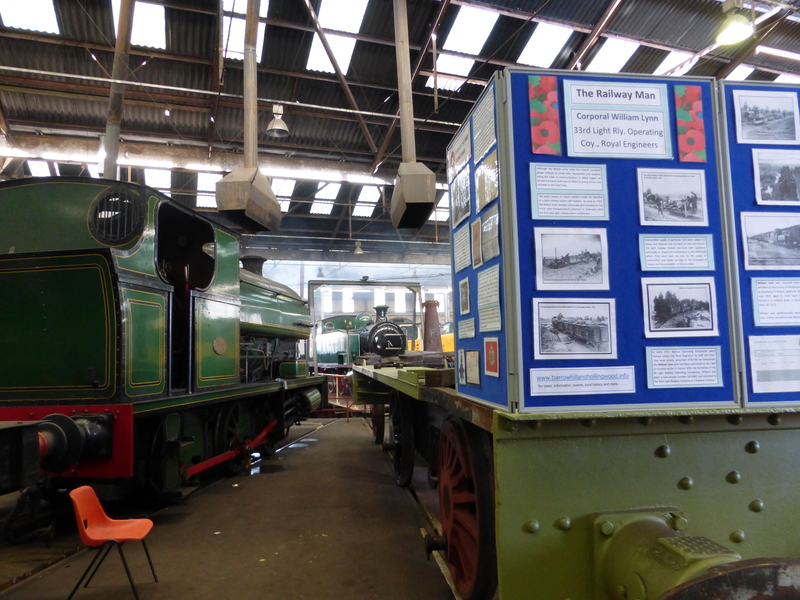 A display about local railwaymen who died in the Great War was featured during the “Barrow Hill Live!” weekend at Barrow Hill Roundhouse.